My backyard has been under major renovation this past month, and I’m excited to finally start sharing some of my progress with you! 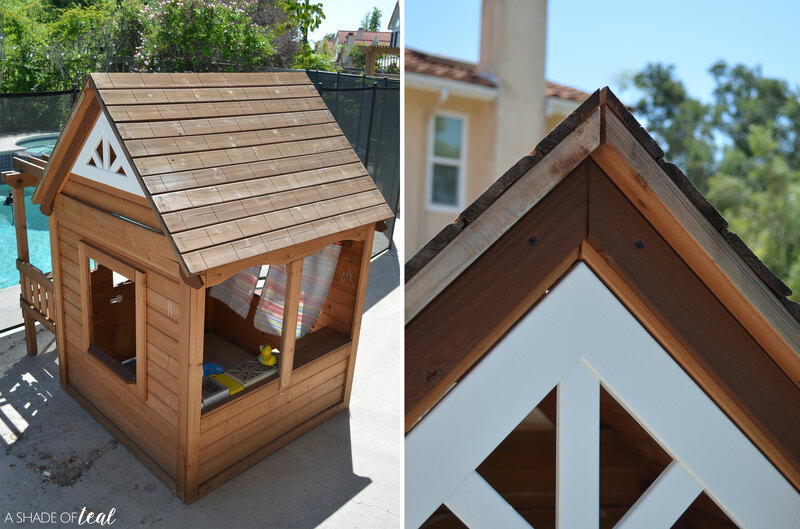 Besides all the work we had professionally done, my first project I completed has been giving our playhouse a much needed roof update. 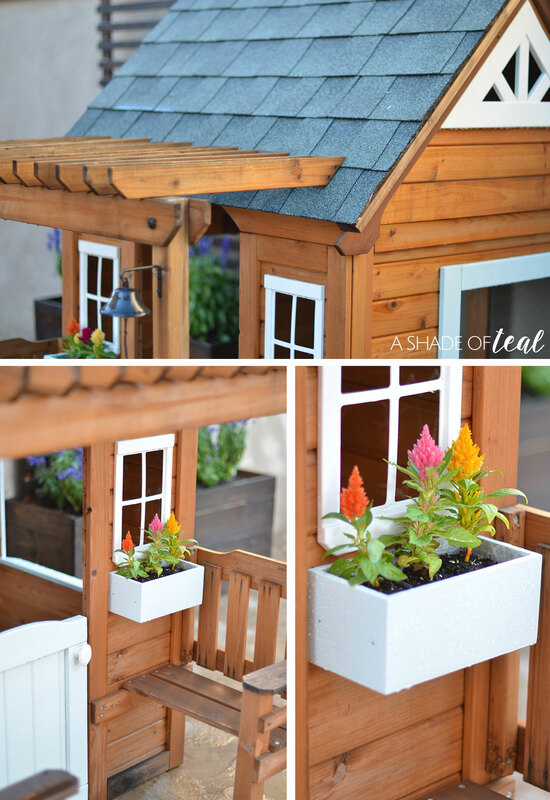 We purchased this playhouse kit about a year ago and it has help up great so far. My only complaint is that the roof isn’t waterproof and when it rains everything in it gets drenched. 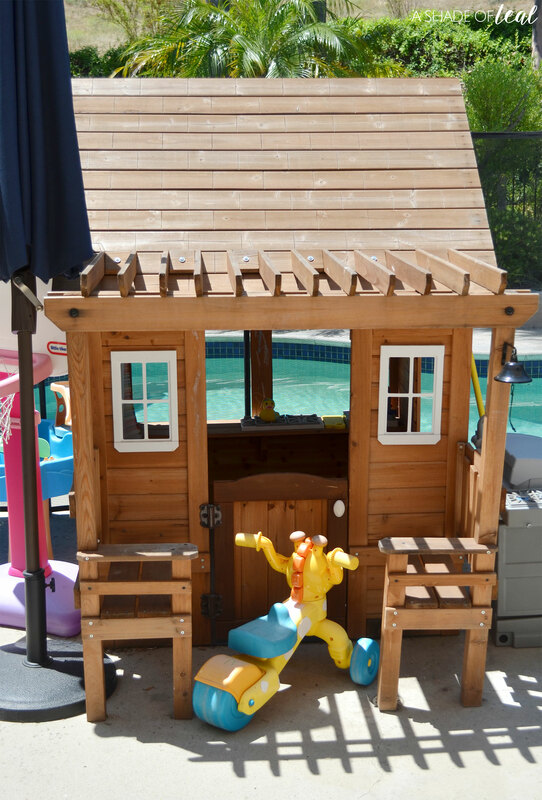 I really wanted the house to be waterproof that way I can also use it as a storage shed for all my daughters toys. 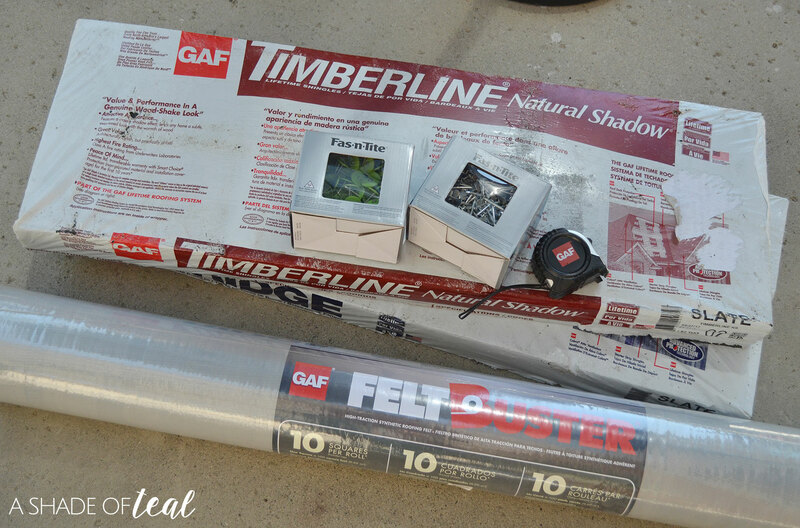 So a new GAF Timberline® Natural Shadow® roof was essential! Here are the before pics. As you can see, there is a huge gap at the top of the roof. 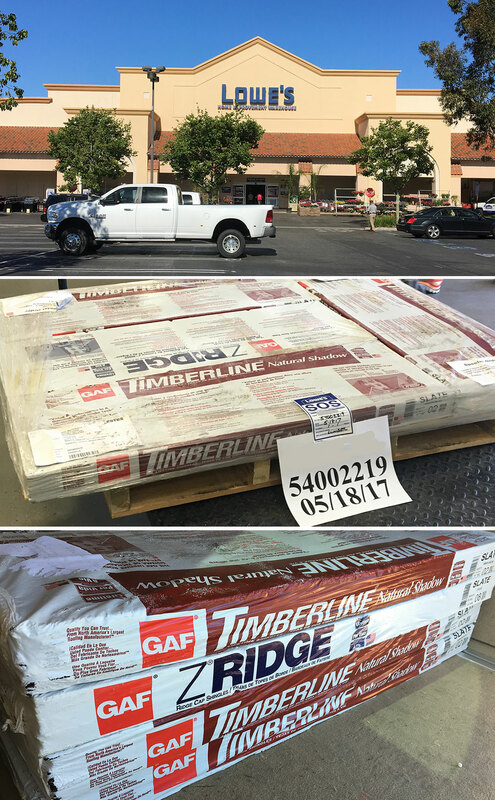 To get this project done I went to Lowe’s and ordered Timberline® shingles in their Natural Shadow® line in the color Slate. I also ordered the FeltBuster® High-Traction Synthetic Roofing Felt and the TimberTex® Premium Ridge Cap Shingles. You might be wondering why I went with Timberline® products. 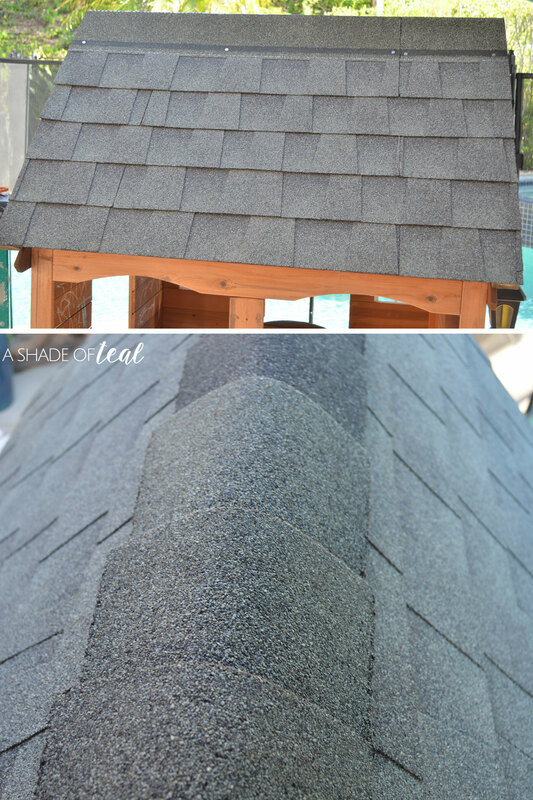 Well they’re the best selling shingle in North America, plus it looks AMAZING and is extremely durable. You can’t beat product like that! Ordering was super easy and ready for pickup in about a week. Once I had all my supplies I wasted no time and started roofing! 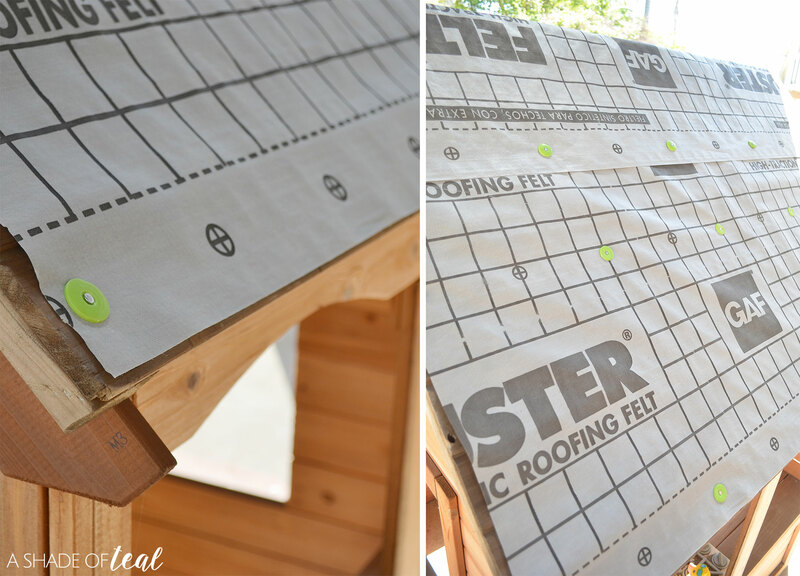 First, I added GAF FeltBuster® underlayment with the round plastic cap roofing nail. Since my roof is pretty small that happened quickly. 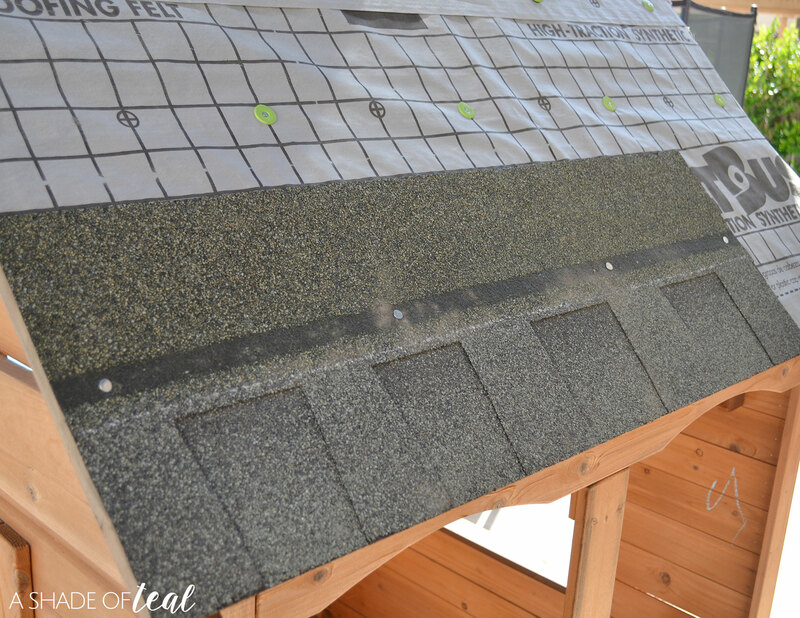 Next, I started laying the Timberline® Natural Shadow® shingles. 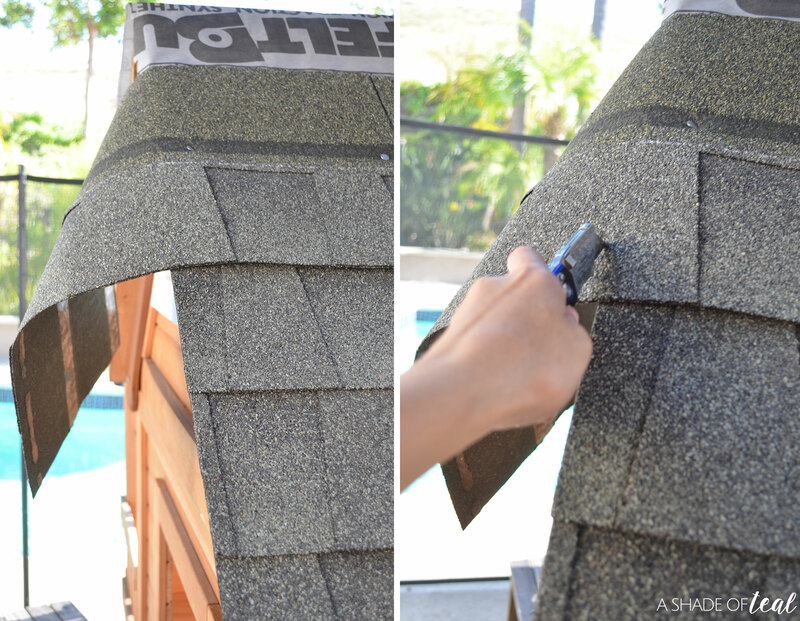 The instructions were fairly easy to read and follow but if you need more help GAF has several YouTube roofing tutorial videos that make installation a breeze. I trimmed all the overhang as I went. Then, finally added the TimberTex® ridge cap. Roofing was super easy and only took a couple hours to complete the entire project. I also decided to paint the window trim and front door in a pale blue along with adding some new flower boxes. 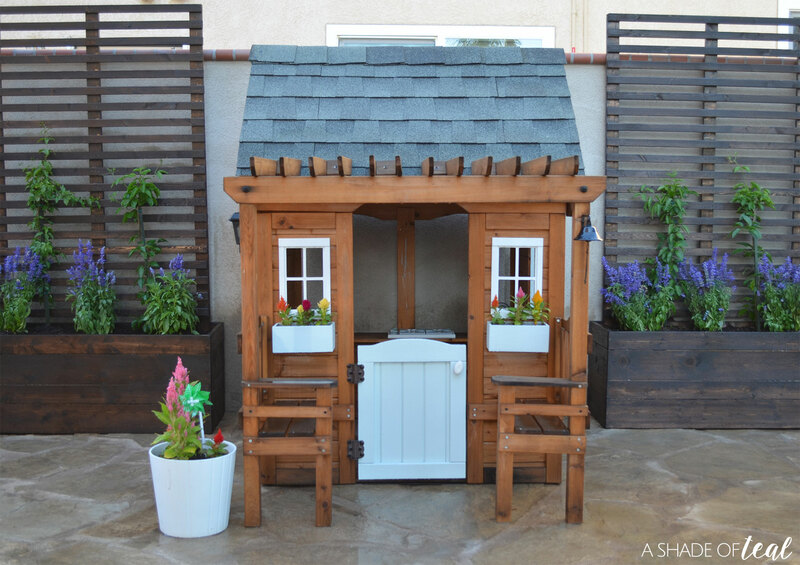 The playhouse also has a new home on my newly added flagstone patio, more on that later! 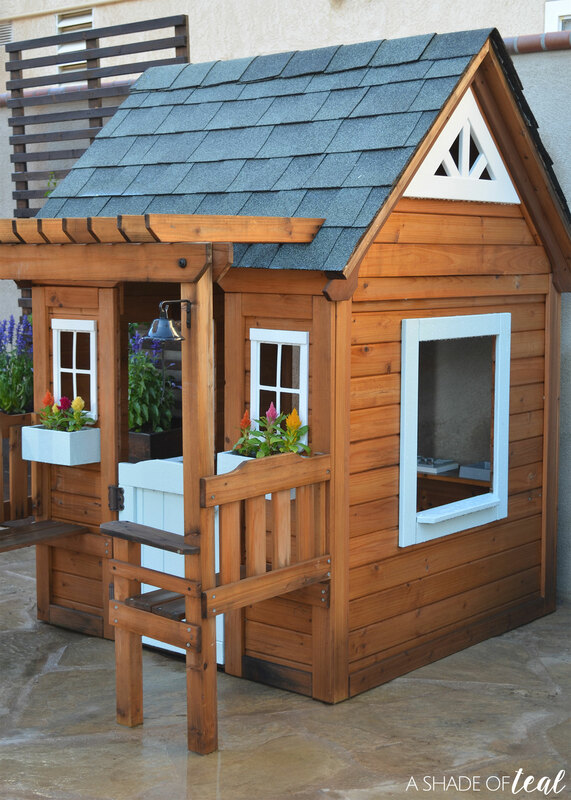 Since updating I can’t keep my daughter out of her playhouse. I absolutely love how it turned out and have so many ideas to keep improving this house! Plus, it looks so nice and makes me want to get the rest of my yard complete so I finally can enjoy it all summer long! 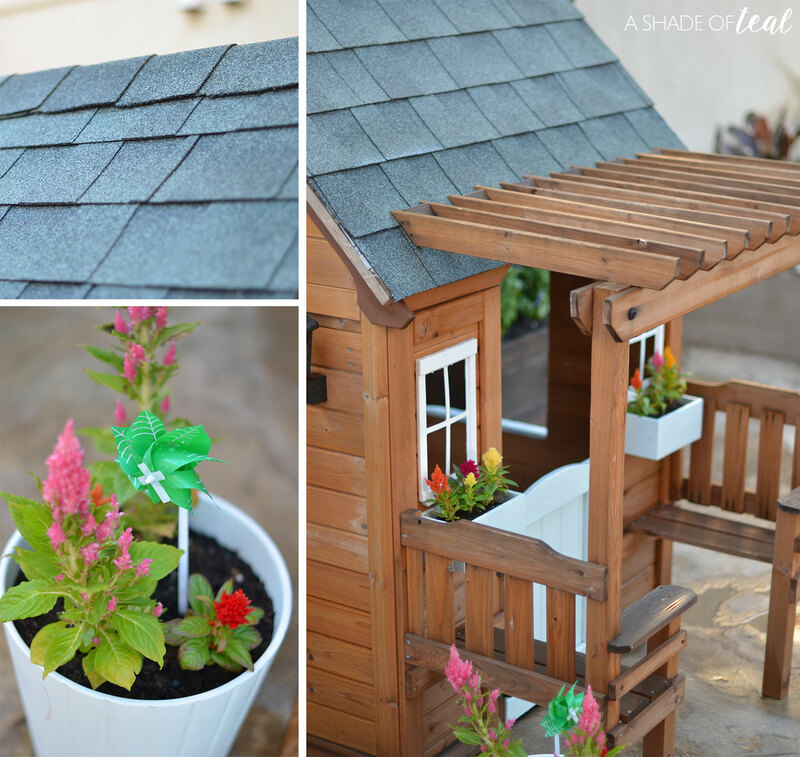 Have you ever tried roofing with GAF products before? Did you find it easy like me? Still looking for more inspiration? Then go follow GAF’s Facebook page. Updating with Color; Bonus Room Feature Wall Reveal! « Life with Kids on-the-go! 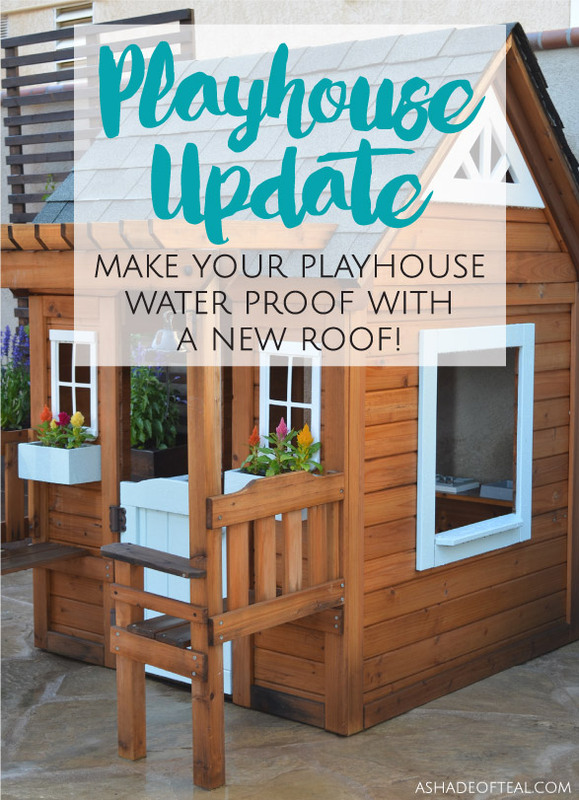 How could the playhouse not be waterproof? Lol. Great job on the roof! The roof looks wonderful! 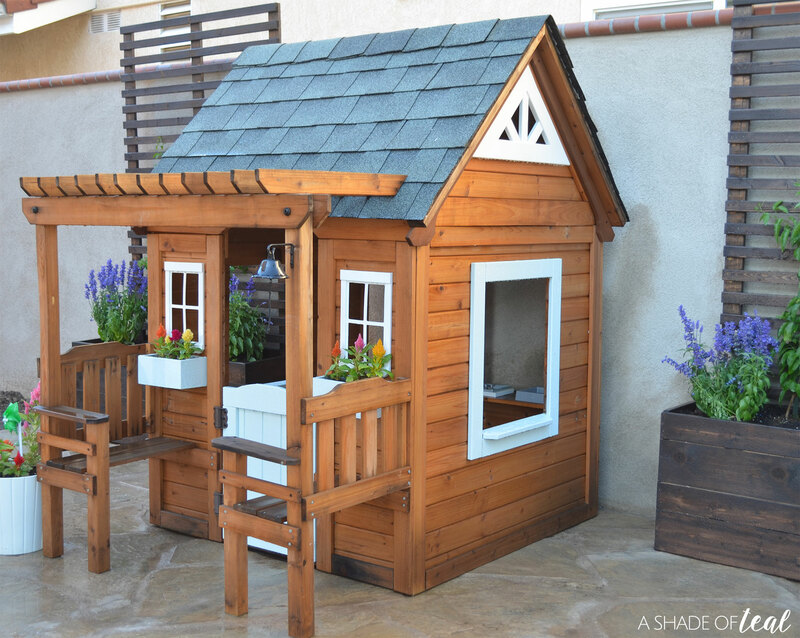 Could you share where you purchased the playhouse itself? It’s really adorable.